No one likes to look at a roof covered in leaves and gutters that have all sorts of debris hanging off the sides. However, cosmetic appeal isn’t all you need to worry about as a homeowner and unfortunately, unless you understand the importance of cleaning and maintaining gutters, you could be leaving yourself open to some very serious trouble down the road. Those gutters are there for a reason which is why it is in your best interest to understand their purpose and then do everything in your power to keep them cleaned and maintained. Here is some information that could change the way you look at your gutter system from here on out. Most people know that gutters are there to help keep rainwater draining off the roof and away from the house. However, the reason why this is important is where many new homeowners are at a loss. 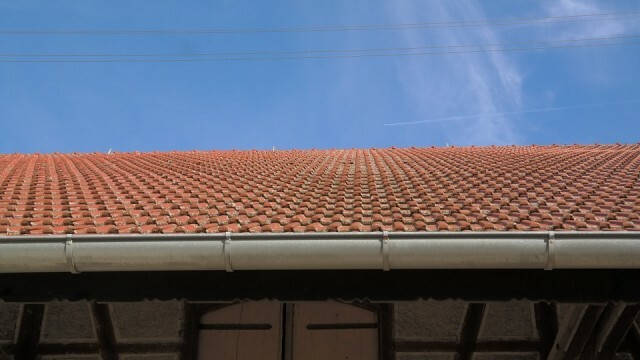 Yes, those gutters can help keep rain draining off roofs so that they don’t come caving in on you (especially in cases of flat roofing structures!) but also gutters and downspouts keep rain from infiltrating the foundation of your home. Not only will that moisture be the ultimate cause of mold and mildew but can, and often will, rot the timbers within the frame. Even poured concrete structures are likely to have wooden frames so be aware of just how important it is to clean and maintain your gutter system. Anyone who has ever had to replace a roof on their home knows that the tiles/shingles on the roof are just one part of the entire roofing system. Along with the roof itself, gutters, soffits and fascias form the entire system. When gutters are clogged to the point where water doesn’t run off to the downspouts, it will certainly pool at those points on the roof. Some areas of the country get rain often enough and in great enough amounts to worry about this type of damage. If you are uncertain about whether or not clogged drains and pooling water have damaged your roof, a thorough inspection by a professional licensed Sioux Falls roofing contractor would be the way to know for sure. 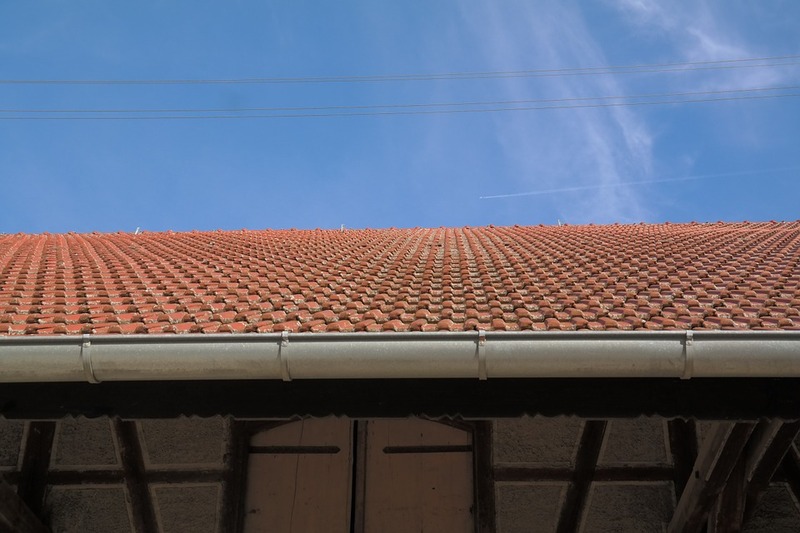 Since gutters, soffits and fascias are actually part of the entire roofing structure, it is important to understand that a roof in disrepair will often disqualify a home from being sold. Many (if not all!) states require certain types of properties being listed on the MLS to have undergone an inspection of the roof and structural integrity of the building. For sure lenders will refuse mortgages on homes with severe, unfixed damage to the roof or part of the roofing structure. If you hope to finance your home, make absolutely certain all repairs have been made and are certified by the roofing contractor. Whether looking to sell your home or simply to ensure that you protect the structural integrity of the foundation and roofing system, regularly inspect, clean and maintain broken gutters and downspouts. Anyone who has ever had to make costly repairs knows the importance of cleaning and maintaining gutters, but for new homeowners, this is a lesson better learned from advice than experience. Why is it important to keep your carpets and upholstery clean? It can be easy to neglect the upkeep of your carpets and upholstery; after all, as some of the largest items in your home, the task of maintaining them can be a daunting one. However, the importance of keeping your carpets and upholstery clean extends much further than simply brightening your home; carpets, and furniture made from or backed with fabric can get dirty very quickly and are prone to harboring a myriad of potentially dangerous allergens and bacteria. While vacuuming and surface cleansing each week will help you to keep on top of the housework, it is essential that you conduct more thorough cleaning at regular intervals. Ensuring that your carpets and upholstery are clean will help to keep your family healthy, as well as brightening your home. Be sure to check the care instructions, and never underestimate the power of the manual. When you make a new purchase, ensure you are familiar with the details of its maintenance. For example, will it require any special treatments, such as dry cleaning? Being conscious of a product’s care requirements will help you to maintain your carpets and fabrics, and help you to decide if it’s right for your home. If the item requires specialist attention, be sure to use the appropriate products and cleaners, or you risk causing further damage. It is important to keep on top of the housework. Frequent vacuuming and surface cleansing will ensure your home is fresh and clean, while being quick to treat day-to-day mess and spillages ensures that dirt isn’t given the chance to build up. Accidents can, and will, happen; make sure that dirt and allergens aren’t given the chance to get comfortable. Rotate furniture, and deep clean your home at least once a month. Carpet and upholstery cleaners are relatively inexpensive to buy and rent, and can make a real difference when it comes to tackling big jobs. Moving your furniture around will reduce the risk of items becoming damaged by regular wear and tear, and can prevent fading. Rugs and mats will also offer a degree of protection to your carpets, and can keep the worst of the dirt off. There are some eventualities when your own cleaning may not be enough; floods, fires, and storm damage can take a real toll on your home, particularly carpets and upholstery. In times such as this it is more appropriate to harness the expertise of a specialist. 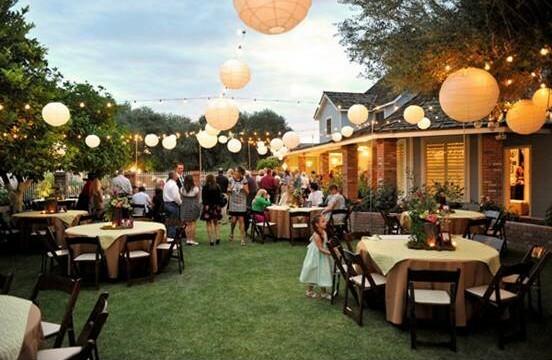 You only have to look at well-documented events in the media, such as Toronto carpet cleaning, to recognize the importance of a professional in some eventualities. Ensuring that your carpets and upholstery are maintained can keep your whole house looking and feeling clean and fresh, as well as preventing harmful bacteria and allergens from building up. However, it can also be beneficial to seek a professional’s advice from time to time, particularly when it comes to damage caused by a major disaster. They will help you to restore your items as best they can, and can prevent further degradation. Posted on December 8, 2015 Author wiseadminCategories CleaningLeave a comment on Why is it important to keep your carpets and upholstery clean?